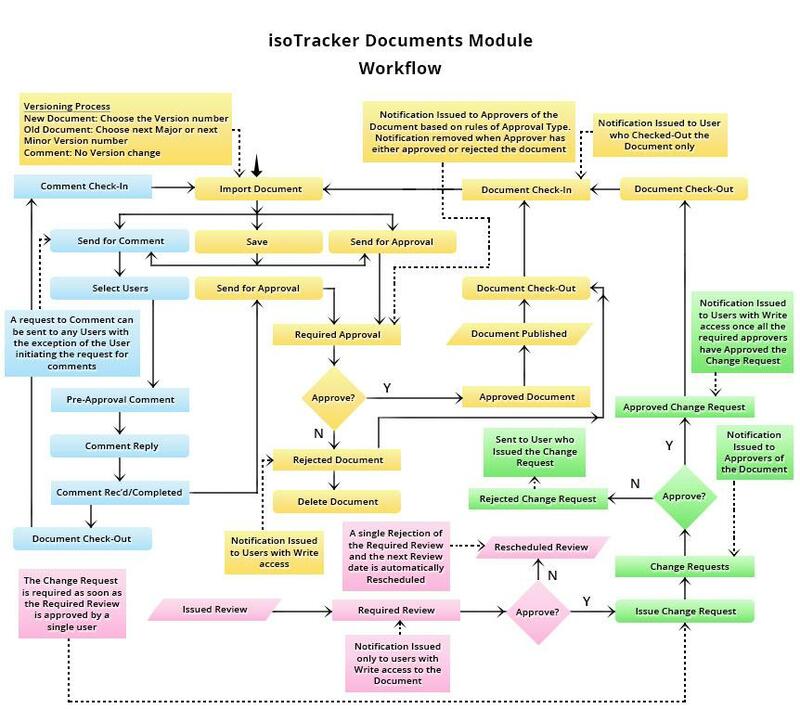 The isoTracker Document Control module provides automated version control, approval workflow, restrictive access, review reminders, archiving and a full audit history. reduce compliance costs through electronic signatures, revision control and audit trails. The Document Control module can be used as a standalone product. Alternatively, it can be seamlessly integrated with one or more other isoTracker quality management modules. Why is automated document control important? Document control is an essential part of any organization’s quality management or compliance system. For modern organizations, a manual or paper-based process for managing policies and documents is time-consuming, costly and prone to mistakes and security breaches. Traditional, onsite software also has disadvantages. It can be expensive and time-consuming to implement. It can also result in a fragmented, inefficient system, in which different components can’t interoperate. Our web-based Document Control module is a convenient solution. It provides a central document repository, integrated workflow tools, automated notifications and integrated analytics and reports. It also offers a secure structure where access to documents can be restricted and data can be protected through encryption and regular backups. Makes it possible to view documents online, from anywhere in the world. Records details of who performs each activity, with the date and time. Lets you schedule automatic reminders to review documents. Support for permission-based access control based on groups, departments, locations or other criteria. Ability to identify any outstanding tasks by employee, document or task name. We will, of course, help you but you can easily do it without us. Follow consistent workflow processes throughout your organization. Quickly track and follow up on outstanding reviews and approvals. Easily archive older versions of documents and restrict access to approved staff members.